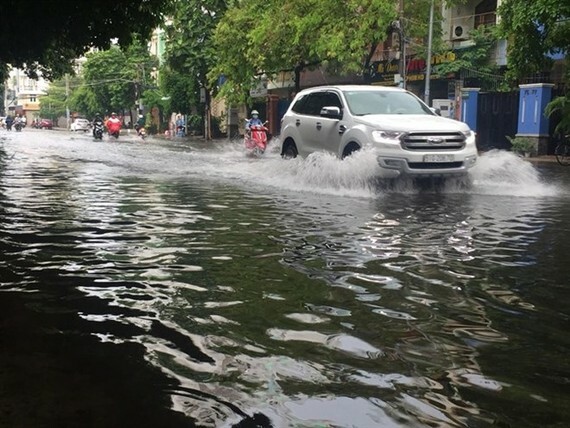 Flood prevention works in Ho Chi Minh City between 2016 and 2020 are estimated to cost more than VND96.3 trillion (US$4.24 billion), according to the city’s Steering Centre of the Urban Flood Control Programme. At a meeting held to review the programme’s implementation last week, Nguyen Hoang Anh Dung, the centre’s deputy director, said the amount included VND21.9 trillion (US$964.7 million) from the private sector. 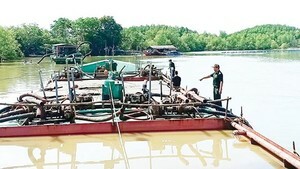 The flood prevention projects include construction of three irrigation reservoirs, upgrades to the storm drain system and Xuyen Tam canal, and construction of seven wastewater treatment plants. Two and a half years after starting the programme, the centre has achieved the goal of preventing flooding in the city’s 550sq.km central area and five neighbouring areas, according to Dung. This year seven more main streets and 445 alleys will become flooding-free. River tides too flood many streets, but four have now put this problem behind them. Many of the projects in the programme had been delayed due to shortage of funds, and the People’s Committee should seek financing from the private sector and official development assistance, Dung said. It should instruct relevant agencies to take severe action against encroachment of drains and illegal filling of canals, he said, adding that canals and channels should be regularly dredged. Nguyen Thanh Phong, Chairman of the municipal People’s Committee, called on relevant agencies and districts to coordinate with the centre for flood prevention. Urban management and co-ordination were “limited”, leading to low effectiveness of flood-prevention efforts, he said. The centre should earmark more spaces for water storage and do further research into water drainage, he said. There were many reasons for flooding, including tides, heavy rains, failure to dredge canals and channels, and others, he said. So many different measures were required and applied simultaneously to resolve the problem, he added.